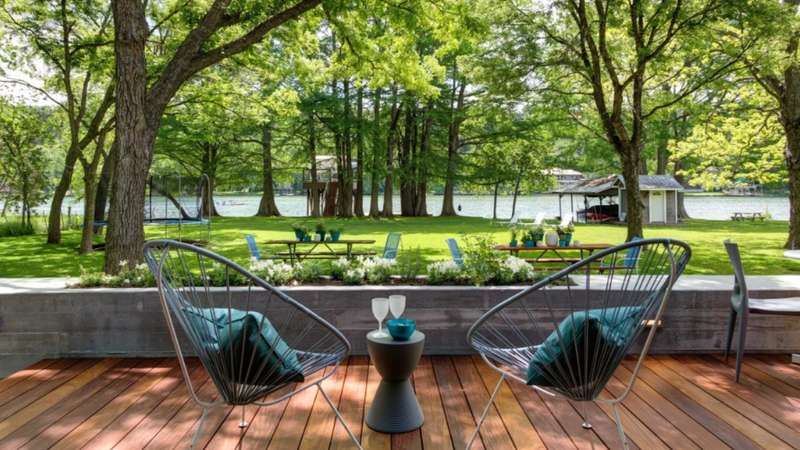 This breathtaking cabin on Lake Austin serves as a quiet weekend retreat, where its owners enjoy hosting friends and family. The 480-square-foot home was built on a 5-acre lot that has been used for family gatherings since the 1970's. 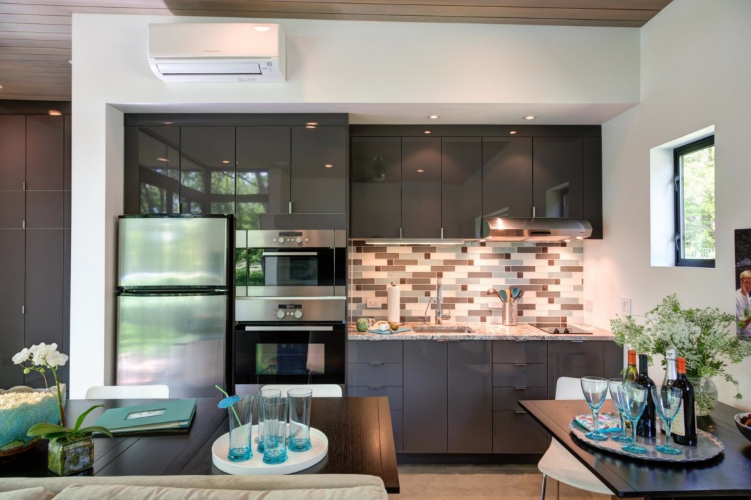 The owners wanted to keep its family-friendly tradition alive by designing a small space with a big feel to continue hosting their family. The cabin consists of a "great room" that holds the kitchen, dining and living room. 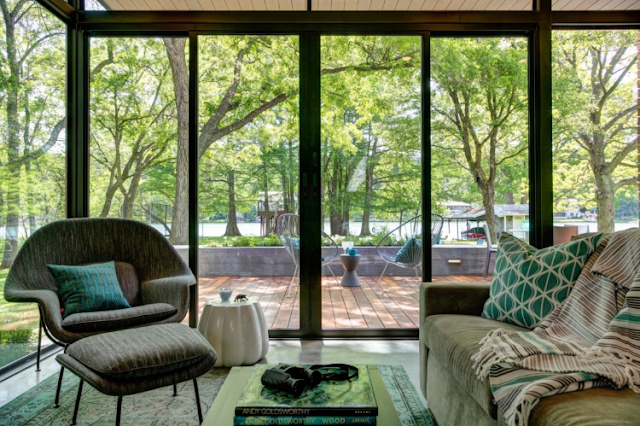 The home also has a full bathroom, plenty of storage, and a deck with stunning views of the lake. 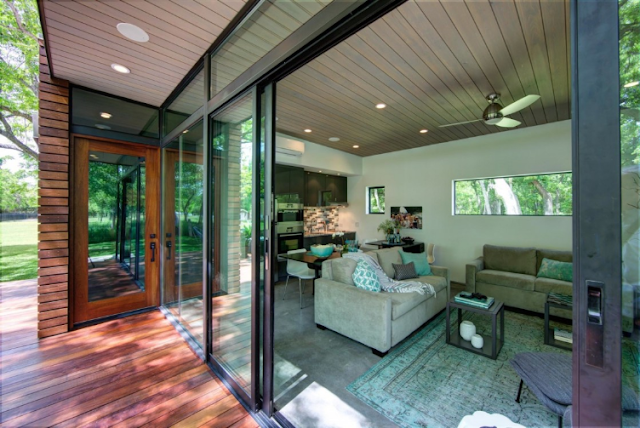 The owners opted for natural materials and a design that would allow the home to last many years with little maintenance. 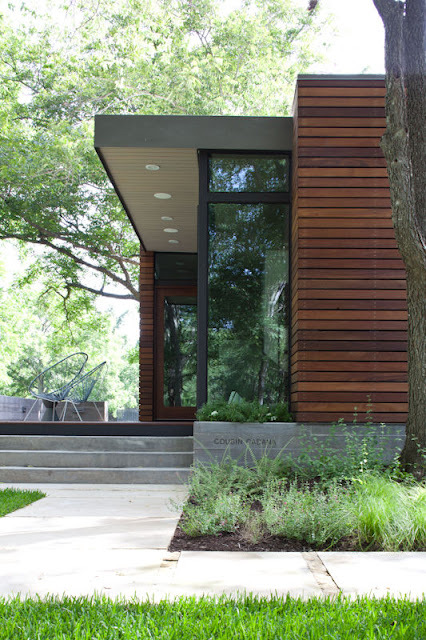 The home features rain screen siding, custom floor-to-ceiling face-glazed steel windows, and an integrated board-formed concrete foundation-low wall-planter. 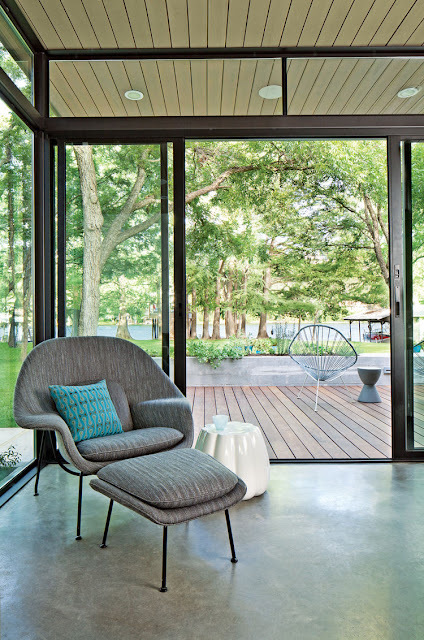 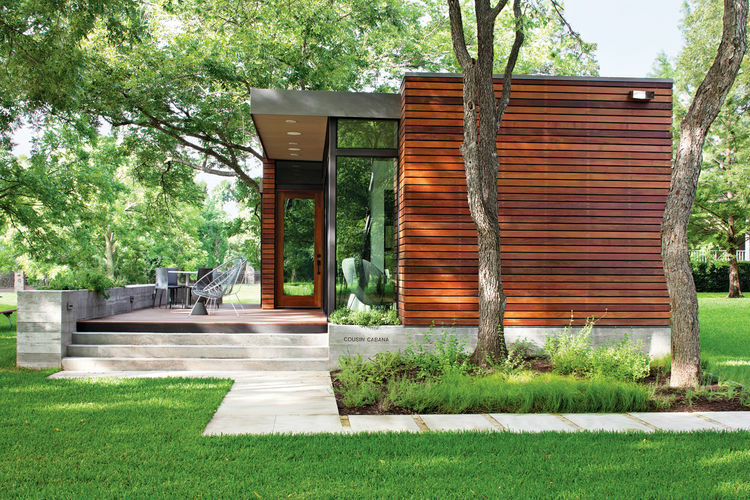 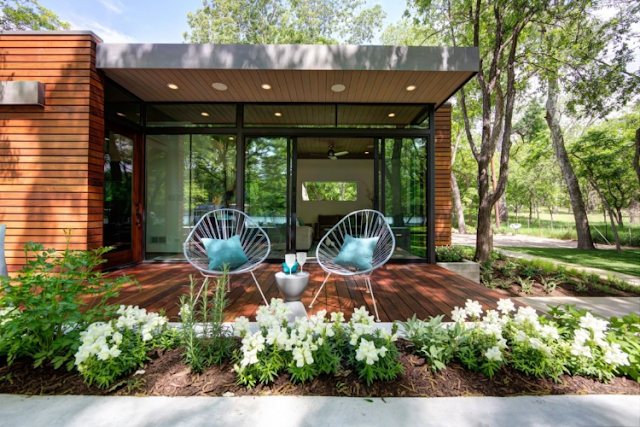 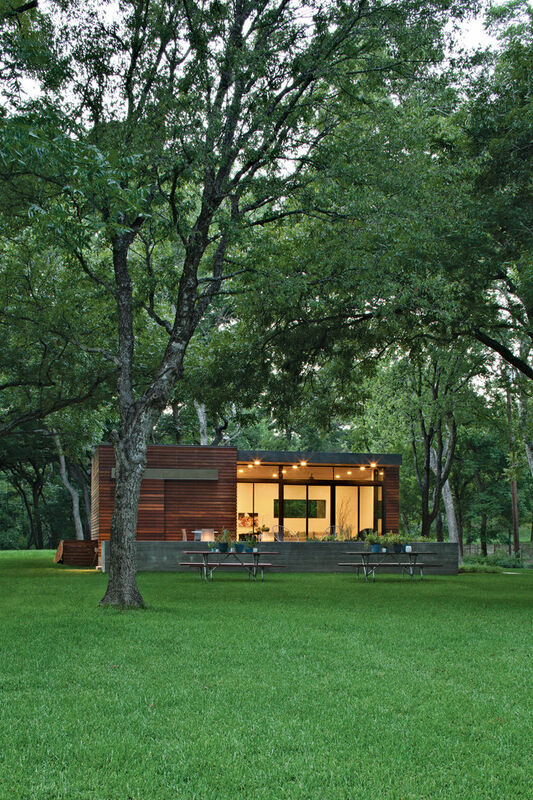 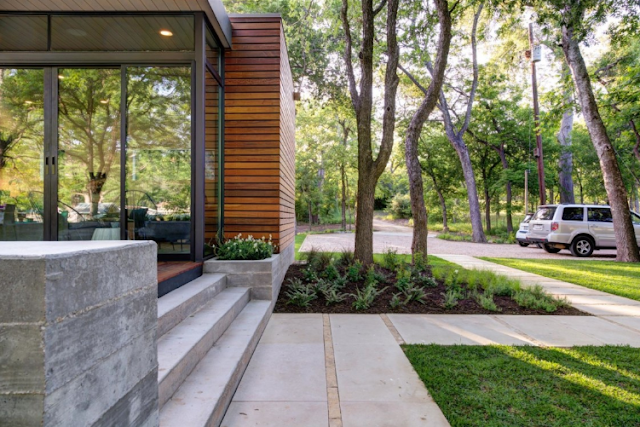 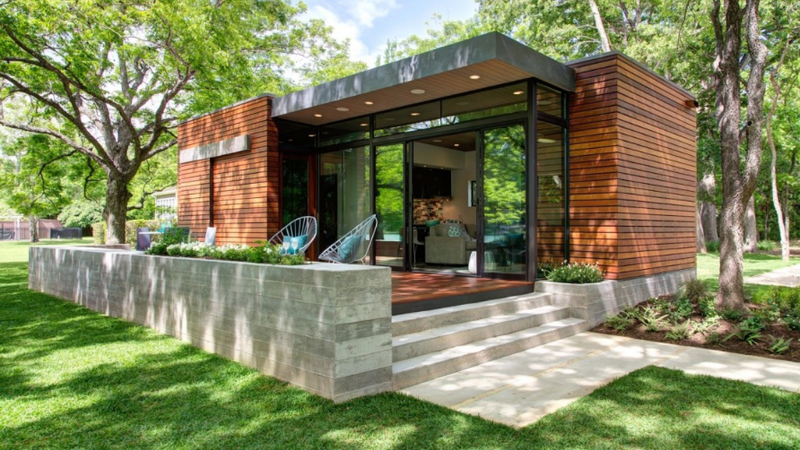 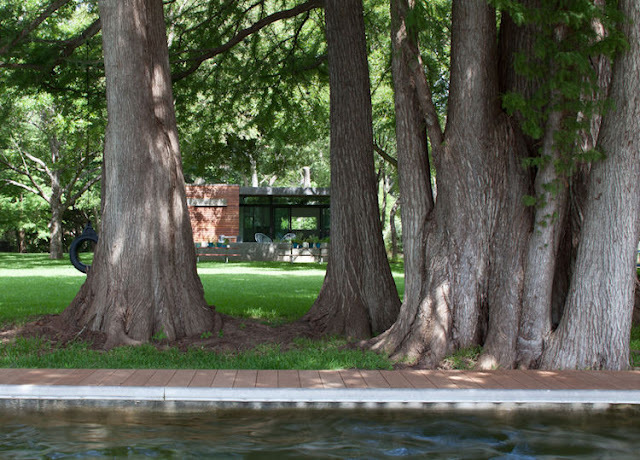 Named the "Cousin Cabana", the home was designed by Austin architect, Jared Haas of Un.Box Studio. 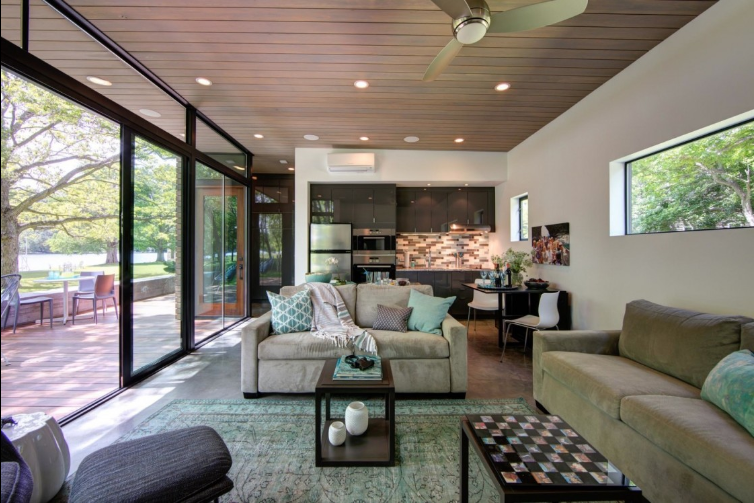 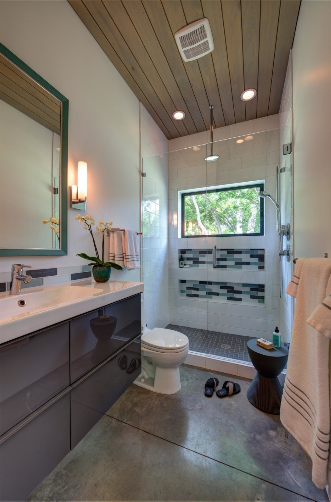 Also essential to the home's design and build are interior designer, Herb Schoening; landscape architect, Tait Moring; and contractor, True Building.